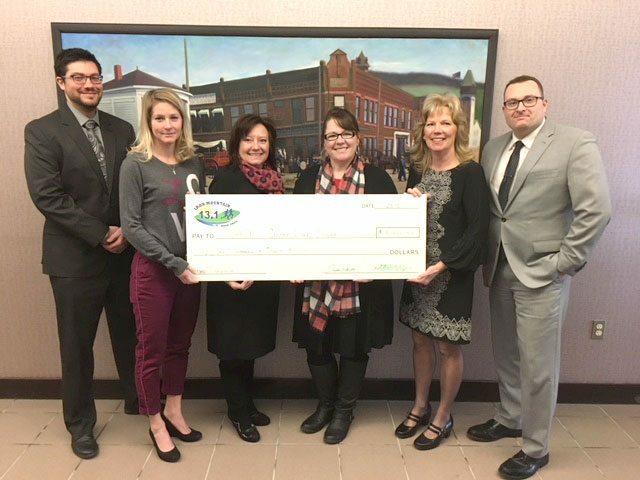 Members of the Iron Mountain Road and Trail Half-Marathon Committee members present the 2017 donation to the Dickinson County Cancer Loan Closet at First National Bank & Trust. From left are Nicole Lutz, Janet Anderson, committee president and race director Lisa Villringer, Loan Closet president Diane Schabo, Sandy Petroff and race treasurer Matt Lutz. IRON MOUNTAIN — The Iron Mountain Road and Trail Half-Marathon and Steve Mariucci’s Mini Mooch-athon, hosted by First National Bank & Trust, made its sixth annual donation to the Dickinson County Cancer Loan Closet in late 2017. The Sept. 23 event raised $18,000 for the Cancer Loan Closet, bringing the six-year total to $71,500. 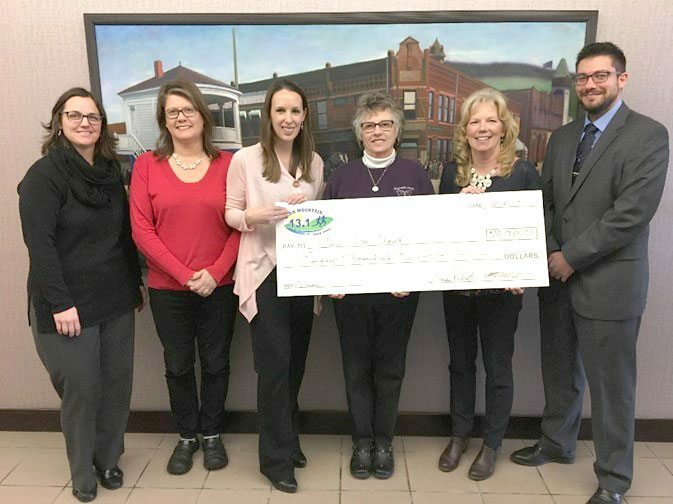 Half of the amount raised went to the Cancer Loan Closet Endowment Fund, established through the Dickinson Area Community Foundation. In addition, two $1,000 college scholarships have been established for high school students graduating in 2018, with the goal of making these annual scholarships. The Loan Closet is a non-profit organization that has been assisting residents of Dickinson County, plus Aurora, Florence, Niagara and Spread Eagle in Wisconsin for more than a decade by loaning equipment to cancer and non-cancer clients at no cost. The Cancer Loan Closet also has a financial aid program that helps with cancer prescriptions, dietary supplements and incontinence supplies, as well as out-of-town, medical-related travel expenses. From left, are Lutz, Melissa Wentarmini, Dickinson Area Community Foundation Executive Director Tamara Juul, Tanya DalSanto, Sandy Petroff and Mick Gayan. The agency operates at 201 E. Breitung Ave. solely on donated money and volunteer labor. It can be reached at 906-776-0966. The Dickinson Area Community Foundation is a vehicle through which individuals, organizations and businesses can make gifts and bequests to benefit the region. Income from these gifts is used for a range of community needs, with gifts being tax-deductible. 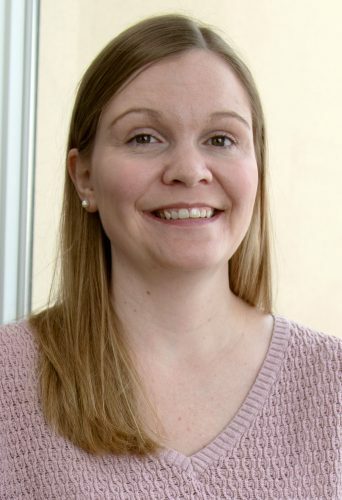 “Without the support of our community, these annual donations would not be possible,” race co-director Melissa Wentarmini said. “The 2017 events were another great success! The donations made are the result of our participants, our outstanding volunteers, and generous sponsors,” said Lisa Villringer, committee president and race director. The Iron Mountain Road & Trail Committee is currently working with the city of Iron Mountain on plans for this year’s event. The Iron Mountain Road & Trail 2018 race will take place Sept. 15. For more information, go to imrthalfmarathon.org or the IMRT Facebook page at facebook.com/IMRTHalfMarathon. Donations to the Cancer Loan Closet Endowment Fund can be sent to: DACF-Cancer Loan Closet, 333 S. Stephenson Ave., Suite 204, Iron Mountain, MI 49801. For more information on the fund, contact Dickinson Area Community Foundation Executive Director Tamara Juul at 906-774-3131.